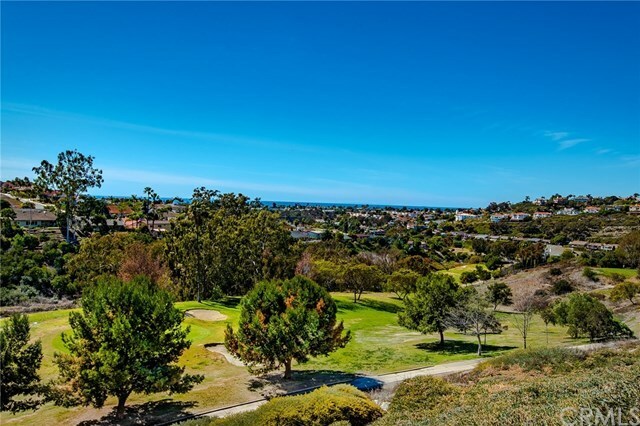 NO SPACE RENT, PANORAMIC OCEAN VIEW, GOLF COURSE VIEW, 3bd/2ba 1.25 miles from beach nestled in the foothills of San Clemente, CA. You own the land your home sits on. This home is one of the most desirable properties in Shorecliffs Terrace. 2040 sq. ft; cathedral ceilings, fireplace, patio to seat 12 for dinner overlooking golf course and canyon to ocean, many amenities. Two pantry kitchen, 2 car garage with workshop, beautifully planted landscaping, shaded front porch, and much more. Our park has a saltwater pool, jacuzzi, sauna, exercise room, card room, billiards room, state of the art kitchen and community room. This is a must see! Won't last. See today! Directions: I-5 to Camino De Estrella, L off freeway, street becomes Camino Los Mares, R on Calle Nuevo, 1st driveway to the right.